Yes yes we know - another huge post. We've noticed that they have been growing steadily, but we just cannot help ourselves. Having been blessed with so many beautiful and visually amazing weddings in recent months, we have struggled to keep the numbers down. Leaving great images out is tough. Graham and Mariam were married at one of our favorite venues in the Cape, at Rockhaven Farm, in the Elgin Valley. The super team from Elgin Weddings put the event together and did a wonderful job. When we met them at our studio many months ago, Mariam told us that she didn't really have an idea of what she wanted in terms of photography but she knew she just loved our candid style. She wanted pictures that were real and focused on the guests and not entirely on them. She was spot on. We loved her. Graham, who really is a great guy, was a little more difficult to pin down. He was smooth but not in a slick cat way. If you know what we mean. He was quiet but smiled a lot. At the wedding we struggled to find anyone who could confirm what he actually did for a living. Instead we heard what sounded more like a preferred list of interests : classic cars, being in a band, beach-bats at Clifton and advertising. We finally had a better idea of him, - priorities not profession. We loved him. 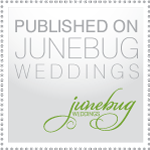 With such an amazing couple and too many things to tell you all about this spectacular wedding we thought our highlight reel might give you a better idea. laughing, laughing and even more laughing. So much laughing. You guys are killing it! Wowzers. Can't wait to see the brilliant photos you will be taking of my son and future daughter-in-law's wedding on the 14 April 2012! I have shown many of the photos you have taken to my friends and they marvel at your creativity and ability to capture 'different' photos. I love the tender moments, the quiet reflective shots,the unexpected ones taken when no one is aware of the camera and the dramatic setting whee nature abounds in all its glory, so beautifully captured in different light. Congrats to you both. Thank you some much for the very kind and encouraging words about our work Jocelyn. We are so looking forward to returning to Rockhaven for Gen and Dylan's celebration.